There are currently 3,452 users on this website. Does anyone know if first flight covers are available for the Statolaunch, or the other Scaled Composite aircraft like Voyager? 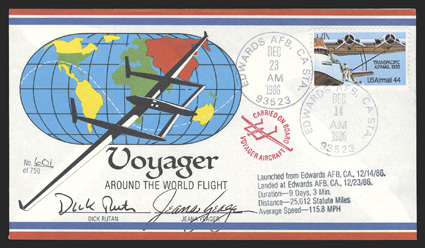 Not sure about the first one, but yes there are first flight covers that were flown on Voyager. Here is an example of one.